New Delhi: The Indian Army is battling critical shortage of ammunition, especially for its tanks and artillery, and 121 out of the total 152 types of munition do not meet the minimum levels needed to fight a full-scale war, the government auditor has found. In its latest report on the Army and ordnance factories tabled in Parliament, the Comptroller and Auditor General (CAG) has said that in the last few years, no significant improvement was made in the availability of War Wastage Reserve (WWR), which is ammunition needed to meet the requirements of 40 days of intense war or a full-scale war. 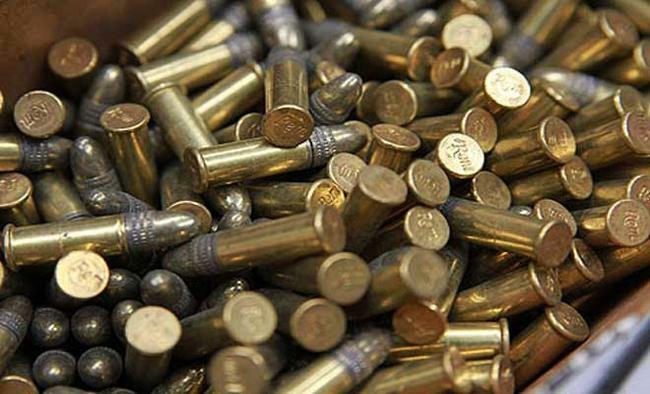 "Out of 152 types of ammunition, only 31 (21 per cent) met the authorisation of 40 (days). Balance 121 types of ammunition were still below the authorisation level," the CAG said in its findings. According to Defence Ministry approved standards, the Indian Army is supposed to store ammunition expenditure for at least 40 days of an intense war. The Army has also set ammunition level required for what is called the Minimum Acceptable Risk Level (MARL) - that is the amount of ammunition required for 20 days of war. But the CAG found that even this level was not maintained in most of the types of ammunition.The CAG criticised the Ordnance Factory Board OFB for the highlighted inadequate quantity of ammunition supplied to the Army since March 2013. "Scrutiny of category-wise details of ammunition revealed that the WWR level had increased mainly on account of increase in the stock of explosives and demolition items while majority of high calibre ammunition relating to Armoured Fighting Vehicles (AFV) and artillery ammunition meant for sustaining superior fire power were under critical level," the report said.The CAG said it had raised serious concerns in a report on ammunition management in 2015 but still "no significant improvement" has taken place in the availability of WWR ammunition supplied by the OFB. "Shortfall in meeting the production target by OFB continued. Further, majority of the procurement cases from other than OFB which were initiated by Army headquarters during 2009-13 were pending as of January 2017. "The CAG report also highlighted that "excessive shortage of fuzes" - the "brain of the artillery ammunition" - was also a matter concern. A fuze is fitted to the shell just before firing. The report said that 83 per cent of high calibre ammunition for tanks and artillery with the army were not in a state to be used because they don't have fuzes. "As the ammunition remain unusable without fuzes, only 17 per cent of scarcely available ammunition would be gainfully utilized for operational requirements."